It seems like every month there’s a new story of a company being hacked. Earlier this year it was Anthem / Blue Cross Blue Shield and last year it was Target (who recently settled for $10mm) and Home Depot. The most recent incident was a couple weeks ago when the US Government’s Office of Personnel Management was hacked. This one hit home for me. Many years ago, I passed all the necessary tests to be a Foreign Service Officer. This included a thorough background check, which includes where I’ve lived, where I’ve traveled, any drugs I’ve ever taken, and extensive personal information of my friends and family. It’s all now in the hands of the Chinese government and whoever else they sell/give it to. Oops. Think this problem is going away? Not a chance. Now, although it’s up to IT/IS departments to keep information safe, there is something HR can do to help their employees prevent identity theft. Have them place a security freeze on their credit report. A credit freeze prevents anyone from obtaining credit using your identity (including yourself). If you want to obtain credit, you will have to contact all 4 credit reporting companies and have the freeze lifted either temporarily or permanently. Here in Atlanta, GA, it costs $3 for each of the 3 main ones to place a freeze, and another $3 to lift it. Innovis is free. Costs will vary by state but are all less than $12. Make sure you record the PIN number they give you when you create your freeze! A less drastic, but less effective approach is a fraud alert. 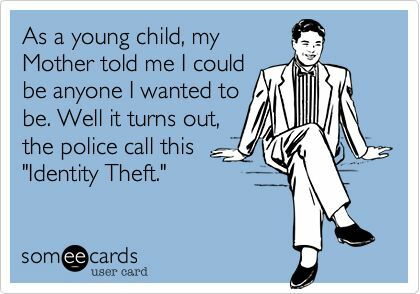 A fraud alert means anyone checking your credit will be notified that you may have been the victim of identity theft and to contact you to confirm your identity. Problem is, it’s just advice. They don’t have to follow it. Fraud alerts are free for 90 days and can be renewed an unlimited number of times. If you have a signed affidavit from the police, your alert will stay in effect for 7 years.